Alabama has a ton of great “mid-sized cities” that offer many of the benefits of city life while maintaining the affordability and charm of a small town. But of the roughly 55 mid-size Alabama cities, which are the most popular? A great way to gauge popularity is to look at which cities are attracting the most relocation interest. If more people want to move to a certain city, you have to assume something special is happening there. And we have just the data to figure out the most popular cities in Alabama to move to. Thousands of people use our move cost calculator every month to plan their relocations. We analyzed our Alabama move data from the past year to determine the 10 most popular cities with populations between 10,000 to 50,000. “I believe people are interested in moving to Alabaster because of many reasons! There are just so many good things about our area. Be proud! 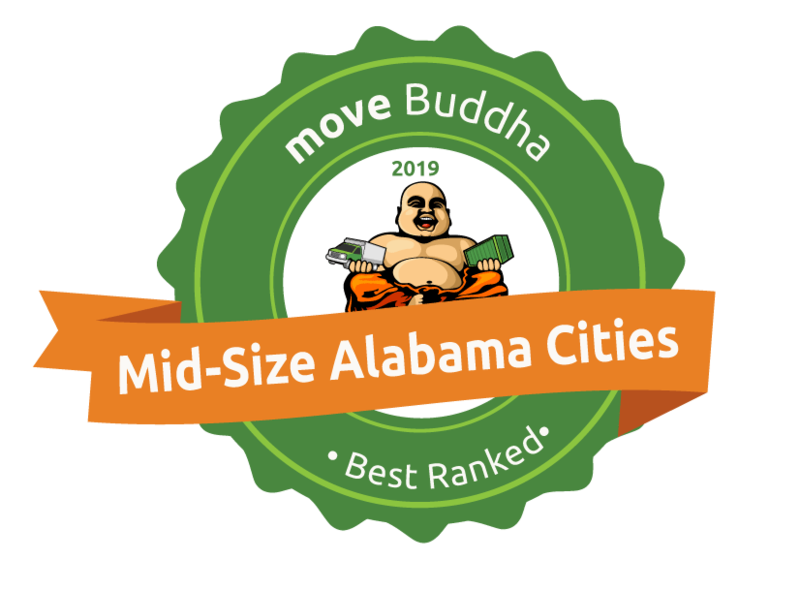 Share the “Popular Mid-Size Alabama City 2019“ badge on your site. Just cut and paste the code snippet below.